In 2015, people from all over the world shared more than 75,000 entries to take part in The Wattys, Wattpad’s annual writing contest. This year, with the help of the passionate Wattpad community, we’re making the world’s largest online writing contest even bigger by accepting submissions in over 22 languages for the first time! This global celebration ignites the Wattpad community as fans comment, vote, and search for the best stories tagged #Wattys2016. It also provides huge opportunities for participants. Jollibee will sponsor three new awards in Wattpad’s third largest market. This partnership marks a milestone for Wattpad and solidifies what the company and many writers on the platform already know: Taking part in The Wattys is the best and fastest way to reach Wattpad’s monthly audience of over 45 million. In addition to Jollibee’s regionally exclusive new award categories, Wattpad introduces two new awards for entries: Visual Storytelling and Trailblazers. The Visual Storytelling award recognizes the stunning stories told using Wattpad’s new multimedia feature. It celebrates the graphic novels, magazines, recipe and look books that are now available on Wattpad. The second award, Trailblazers, recognizes the genre-bending skills of Wattpad writers. Winners of this award are inventive, innovative, and push their limits as modern storytellers. Trailblazers set the bar for content on Wattpad. Their stories challenge conventional writing to show us how different and diverse Wattpad stories are. As hosts of the world’s largest online writing contest, we understand how exciting and rewarding this process can be for storytellers of all levels. 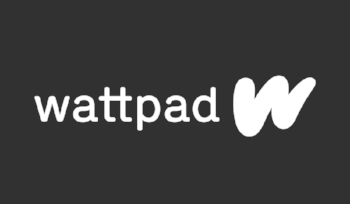 For all updates and tips related to The Wattys, follow our official profile on Wattpad. If you’d like to participate in this year’s Wattys for a chance to have your story recognized by the global Wattpad community, check out our contest page - here. You can also check out last years’ Wattys winners here.